You may have been encouraged by an insurance agent to purchase annuity with the assurance that you are going to receive a steady stream of funds during your retirement. The reason that more and more people become interested in investing in annuities is the promise that they will profit from their investments once they are in their retirement age. With the different types of annuity in the market, fixed annuity has been getting the most attention from potential investors. This is because of the expectation that they will receive a fixed amount every month upon retirement. In order to illustrate the benefits of investing in annuities, some financial consultants use annuity calculators that will compute for the earning potential of a person’s investment. While it is true that some forms of annuities are expected to increase in value after some time, in fact the S&P 500’s average return in the last 10 years is more than 6%, when you compare this against your investment, you will find out that you have not really earned as much as promised. Upon realization of this hidden fact about annuities, some investors went into selling annuity and look for other investment options. “Now what do I have to know about annuities and your investment,” you may. Let us look into the details on how annuities can be tricky investment options. Let’s say you purchased an immediate annuity for the amount of half a million dollars and was promised that you are going to get $2500 every month upon your retirement. 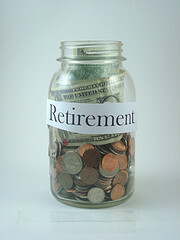 This is not an unusual scenario since many people who are approaching their retirement age opt for immediate annuity. With the optimism that you will gain about 6% on top of your investment, this is an irresistible offer. On the 16th year that you are receiving $2500 a month from the annuity company, that is the time that the company will start giving you money that is not part of your initial investment. Since you expect to earn $30,000 for that year, it is easy to believe that you earned 6% off your investment. While it is true that $30,000 is 6% of your $500,000 investment, remember that your money has been with the annuity company for more than 15 years. And for 15 years, you have not been earning anything from your investment. So if you take your average earnings for the 16 years that you have been receiving annuity payments, it will definitely be less than 6%. The IRR or the Internal Rate of Return is used to measure the percentage of gain that you will get from your investment. During the first 15 years, when you are just getting your money back, the IRR is at 0%. On the 16th year, the IRR for the investment will be at 0.92%. This means that you haven’t really gotten 6% annually for your investment. Twenty years after the investment, the computed IRR is just at 3.47%. So when will you get a 6% IRR for your investment? This is very unlikely. Thirty eight years after purchasing an annuity – many of the investors will be around 100 years old by this time – the IRR will just be at 5.57%. Take into consideration if the investor died before the 15th year of the annuity, then he wouldn’t really have earned anything from his investment. Receiving $2500 every month during retirement may be acceptable to many. After all, this will be enough for him to live comfortably right now. Yes, right now $2500 is enough to support a decent lifestyle. But will it be the same in 5 or 10 years? At an average inflation rate of 4.5%, in 20 years, the purchasing power of $2500 will just be halved. It would be great if you do not spend the whole $2500 every month, so that you can still save a portion to take care of the impact of inflation in the future. If you manage to maintain a modest lifestyle during your retirement years, then maybe inflation should not be big issue. In reality, it is difficult to find a quote of $2500 every month for an annuity purchase. You may get a quote for a few hundred dollars less, and this means that you will even earn less from your investment. Instead of investing in annuities, consider other financial vehicles that will give you more value for your investment. Mark Long is a respected financial expert in annuities and retirement planning. If you have concerns with your investments and think, Should I sell my annuity, then he will check your risks to advise you if you should start selling annuity. A family member of mine looked into an annuity and found out that it really didn’t make sense for them. It was basically like taking a bet that they would live long enough to make it a good investment. I agree and the fees and expenses make them more expensive too. My in-laws always bemoan that fact that they passed on signing up for an annuity (or similarly structured investment?) thirty years ago because it would be worth so much money now after paying in year after year. And the reality is, the forced funding mechanism probably would have been good for them and they would likely be in better shape financially. But I agree that there is more value to be had outside of an annuity. I agree the forced payment is necessary for some, although a payroll decution can work similarly. I’m fairly certain I’d never consider an annuity. If you educate yourself and start retirement planning early enough, you’ll do much better to manage everything yourself. I agree! As a teacher, most of my investment choices were annuities. I picked a regular investment in a mutual fund and keep my expenses low. I think an annuity can make sense for a portion of your portfolio. I doubt I’ll ever purchase one though since there are many other investments that I’d make before buying an annuity. For me, Social Security and a pension satisfy the need for a monthly fixed amount. I feel annuities are expensive because of fees, expenses and commission. I had an annuity set up for me when i was 4, and I received lump sums at ages 18, 21, 23, and 25. It was a good thing that the money couldn’t be touched by my parents, because they would have drained it. So, the protection was a good thing, but I agree, it’s a HORRIBLE investment strategy. I hope you are investing the proceeds! I love it. You did a good job using real numbers to show how annuities will not pay what insurance brokers say they will. The only annuity that I would ever consider is the SPIA (single premium immediate annuity). And I hope interest rates are higher when we actually look to purchase in ten or twenty years. If you need the steady income of an annuity, you probably should rely on Social Security. There are other ways to provide a steady income such as bonds or dividend stocks too. Wow great breakdown. This really makes Annuities seem like a ripoff!! All you have to do is look at the expenses and management fee to see it. On top of it, there is also a sales commission. I think annuities serve a good purpose for some people, but they can be a ripoff. I interned at a brokerage that also sold annuities, and the financial advisor doing it was unscrupulous when it came to selling them, simply because the commissions were so high. Nice post. Annuities can have their place, however the ones that are pushed by financial sales types usually seem to benefit their bottom line more than the bottom line of the clients they are supposed to be serving. I agree! If I were interested in annuity,I would start with a company like Vanguard. I work in the retirement field, and there are only two reasons to get an annuity. You buy an inflation adjusted annuity, because you think inflation will be higher than forecasted and you don’t want to worry about it. Don’t forget your payment overall will be smaller for this annuity because of the inflation adjustment. You buy an annuity thinking you will out-live the break-even (but surprisingly the math is usually right). I think the more interesting subject is when people opt for lump sums because they think they will not live to the life expectancy. It is a more expensive choice than choosing income products such as bonds or dividend stocks. After all, the insurance company makes money from the product too. What an eye opener! Great and clear examples. I will stay away, but is there a time when annuities do make sense to invest in? If you need steady income and you are willing to pay more for it in terms of fees and expenses. Thanks! Annuities are always an interesting choice, unless you really look into it. The one of the greatest advantage on annuity is we can get investment money back with ideal interest. True, however you pay for it in fees and expenses.